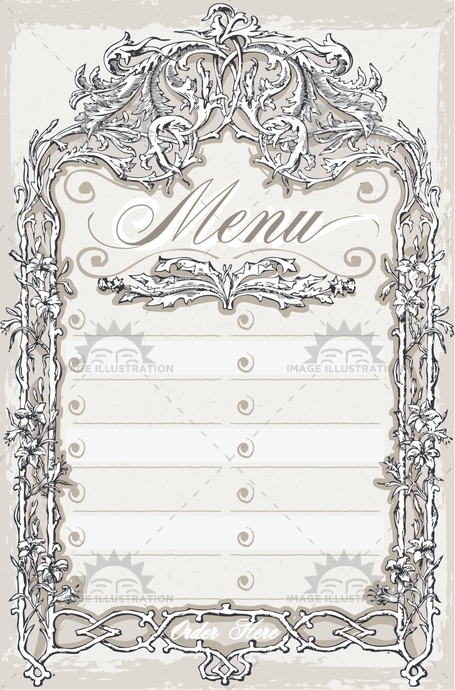 Stock product - detailed vector illustration - 2D Vintage Collection - Bar Menu 01 - created by Aurielaki. Image formats EPS AI JPG. SKU: Bar-Menu-01-Vintage-2D-AurielAki. Category: Old Paper Vector Images. Tags: aged, ancient, antique, background, banner, bar, cook, country, crayon, cuisine, decoration, dinner, foliage, food, freehand, gastronomy, graphic, handwriting, liberty, menu, old, page, restaurant, retro, sepia, typography, vintage, western.